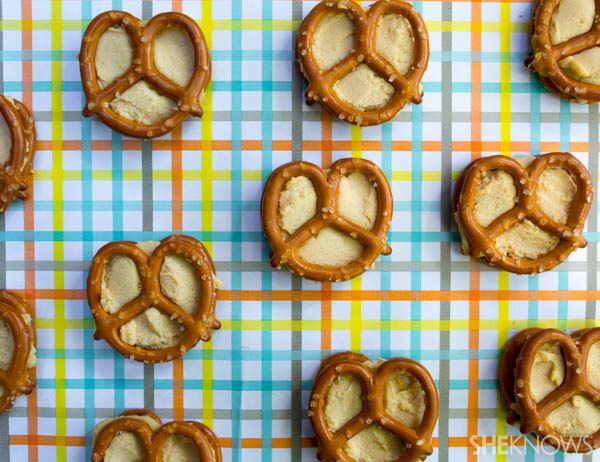 Pretzels are a lunch box staple in our household. Here’s how we keep them interesting! Pretzels are a great lunch snack in their own right — salty, crunchy and conveniently bite-sized, but after a while they can start to get boring. Luckily, they are also a wonderful vehicle for toppings and dips, pairing well with both sweet and savory additions. Chocolate-dipped — Use white, milk or dark chocolate to achieve that addictive salty-sweet combination. 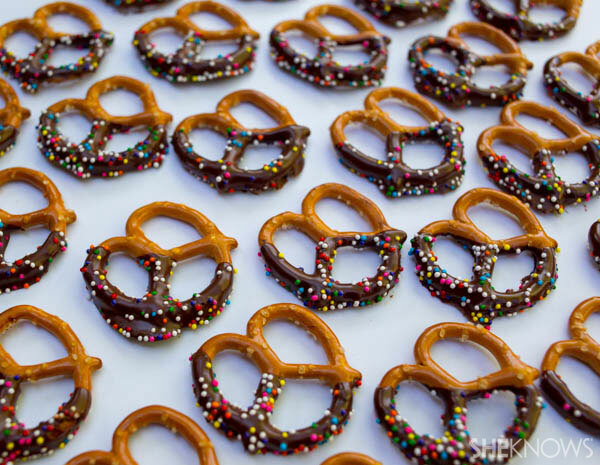 Doing a half-dipped pretzel is easier and uses up less chocolate: Simply melt 5 ounces of chocolate in 30-second bursts in the microwave or over a double-boiler, and then dip pretzels halfway. Chill in the fridge to set faster. Add sprinkles for even more fun! Sandwiched with peanut butter — Add a teaspoon of peanut butter for a simple peanut butter and pretzel sandwich, or add a smearing of jelly for a pretzel PB&J. With hummus — Sandwiched or on the side for dipping. 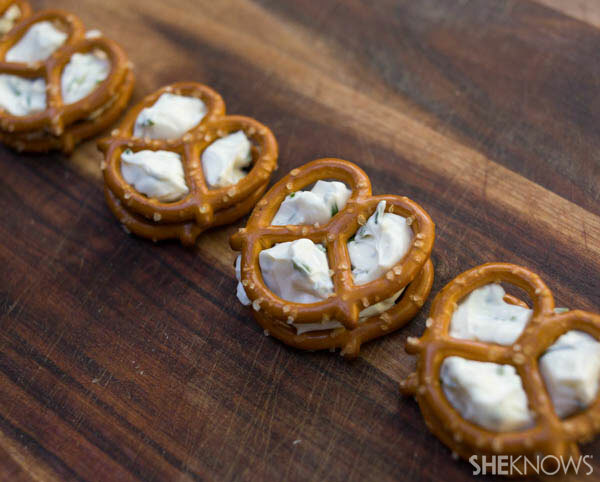 Sour cream and onion — Mix 1/4 cup cream cheese with a tablespoon of chopped, fresh chives to sandwich between two pretzels or serve alongside as a dip. They will taste just like sour cream and onion chips!